The Executive Council of Australian Jewry has officially recognised the historic protest march made in 1938 by a group of Aborigines led by William Cooper to the German Consulate in Melbourne in response to Kristellnacht…the only known protest worldwide of that notorious night. Cooper’s great-grandson Kevin Russell received the notification and voiced his appreciation: “What a wonderful surprise. I will forward this news to all the family and community. We thank the Executive Council for The Australian Jewry for their recognition of my Great Grandfather and their ongoing efforts to have William honoured here in his own country in front of his own people. I advocate every day for this to happen and will be having further discussion with the ministers present in Israel to support this. There is also a steering commitee being formed in Melbourne to help have a permanent memorial for William, I will forward this to you and if you are interested or would like to be a part of in some way we would be happy to have you as part of that committee. RECALLS with gratitude and respect that on the 6th December 1938, several weeks after the campaign of anti-Jewish violence during Kristallnacht in Germany, William Cooper, the Secretary of the Australian Aborigines’ League and an elder of the Yorta Yorta people, headed a delegation of Aboriginal people to the German Consulate in Melbourne to deliver a petition which condemned the “cruel persecution of the Jewish people by the Nazi government of Germany.” This was the only known private protest anywhere in the world against the Nazi regime following Kristallnacht. 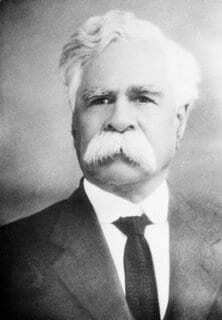 b. William Cooper was a fearless advocate for Aboriginal people in seeking direct representation in parliament, enfranchisement and land rights on their behalf. NOTES with pride and satisfaction that the memory of William Cooper has been honoured by the Jewish community in Australia in ceremonies with his descendants in Melbourne and Sydney. b. the establishment by the International Institute for Holocaust Research at Yad Vashem of an academic chair (professorship) for the study of the Resistance during the Holocaust in tribute to William Cooper. CALLS UPON the Australian government as soon as possible to introduce a suitable form of national commemoration of the life and work of this great Australian.